Algeria are out of the African cup of nations after they lost two games and are last place on the table with 0 points. They lost their first game against Tunisia and lost their last game against Togo as well. They can't qualify for the next stage anymore, but still have a match to play in 2 days against Cote d'Ivorie who are the group leaders with 6 points. 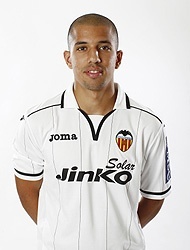 Than means that Sofiane Feghouli will return to Valencia CF in a week or so and could even be in contention to start against PSG, depending on his physical status.